Welcome to Eclipse Tattoo Studio. We are based in Heanor and have been for over 15 years. 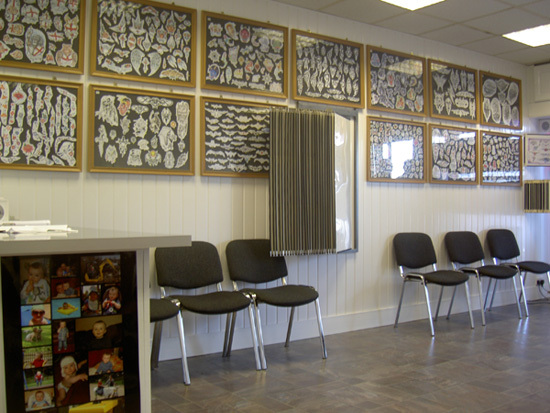 Our ultra modern studio attracts clients from all over the UK many of whom return time and time again. Our team consists of Paul with over 31 years of experience, Troy with over 19 years and Sid with 32 years. We pride ourselves that we cover all aspects of tattooing from realistic protraits, traditional black and grey, custom and off the wall designs. We have an extensive range of flash displayed in the shop or alternatively call in with you own design or idea and see what we can do. Visit us on Facebook and check out our latest designs and news update. We now offer late night appointments on a Thursday. Give us a call on 01773 769331 or drop in the shop. By appointment only and deposit required.